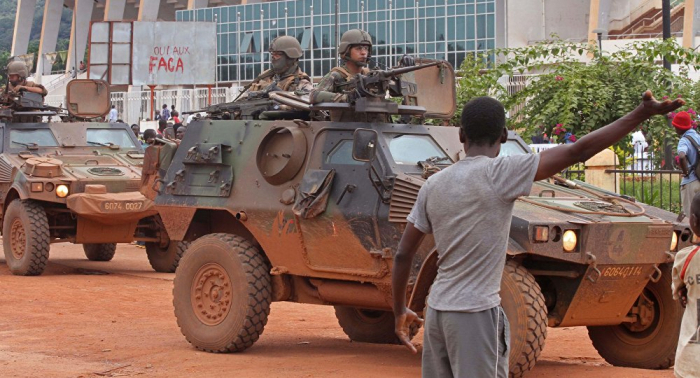 A Russian military base may appear in the Central African Republic, the framework agreement envisions such a possibility, but the issue has not been discussed so far, CAR Defense Minister Marie-Noelle Koyara said in an interview with Sputnik. "We have not yet spoken about the specific development of the base, but such a possibility is not ruled out in the framework agreement that has already been concluded between our countries. If the presidents, as supreme commanders-in-chief, as leaders of the nation, make the decision to deploy the base, it means our countries will agree on that, and we, as ministers, will be implementing it," Koyara said. She said an army training center had been established in the CAR's Berengo jointly with Russia. She said it could not be considered a Russian military base, but added that people had already begun to perceive it that way. The authorities and armed groups of the Central African Republic are ready for a meeting on settlement under the auspices of the African Union, they expect to be notified of the date and venue, Marie-Noelle Koyara added. "Armed groups are ready for a meeting, we are ready for a meeting, all interested parties are ready for a meeting, and now we are waiting for the response from the African Union as a coordinator, when and where it should take place," Koyara said. The meeting on settlement of the conflict in the Central African Republic under the auspices of the African Union should result in the development of a road map, Marie-Noelle Koyara said. “The elected president chose the path of dialogue to return to peace, after which the African Union decided to aggregate all the proposals to develop a road map to implement this path. And now the role of the African Union is to send expert representatives to a joint meeting with representatives of the CAR government," Koyara added. After the disarmament of Anti-balaka and Seleka in the Central African Republic, the armed groups may join official security structures, Koyara stressed. "The main goal of this dialogue is to bring these groups to disarmament. After that, they have, in fact, two paths… Those who want may join security agencies. These are the police, the army, the gendarmerie and those involved in forestry," Koyara said. Others, she said, may return to peaceful life as part of public projects and social programs. “One of the recommendations that we heard at the international forum in Bangui was that due to the fact that there was such a huge number of crimes, we cannot afford a full total amnesty. Those who committed crimes must answer for them. Therefore, our Justice Ministry has much work to divide [people] into those who may be pardoned and those not worthy of it, who may not be pardoned," Koyara said.